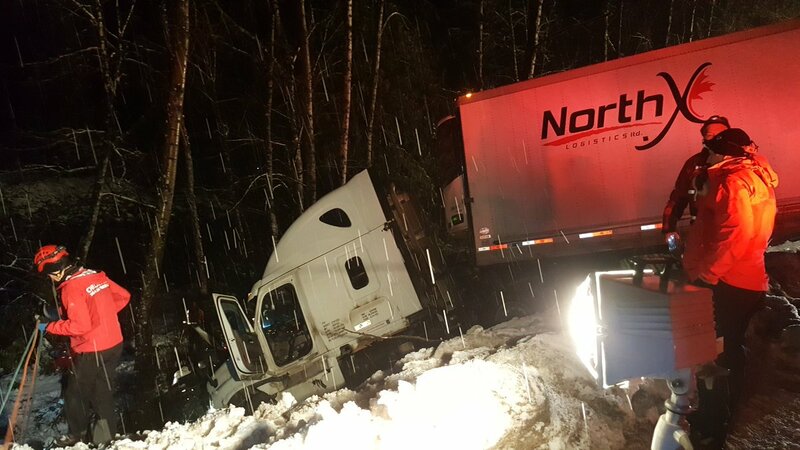 Coquihalla/Hope – A frightening scene on the Coquihalla Sunday night as a major crash closed the highway near the Othello Tunnels. Emergency crews from Hope, Boston Bar, Vancouver, Coquitlam and Chilliwack, including Hope SAR headed to the scene. 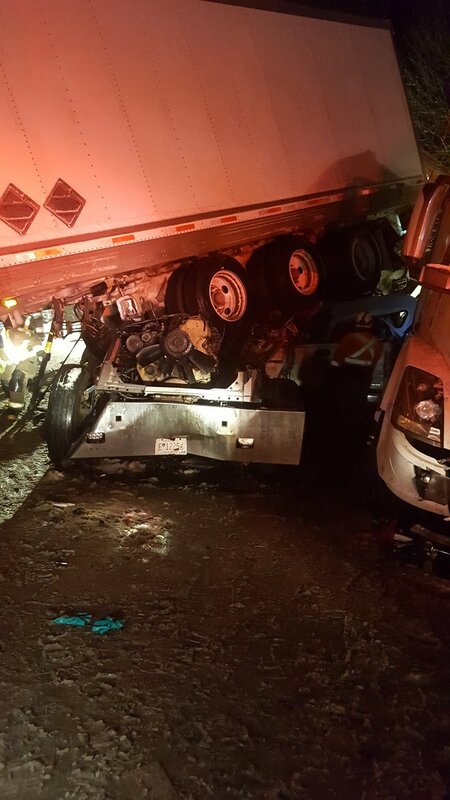 The crash happened around 8PM Sunday night and involved a Greyhound bus, another passenger bus, two semi-trailers and two vehicles. 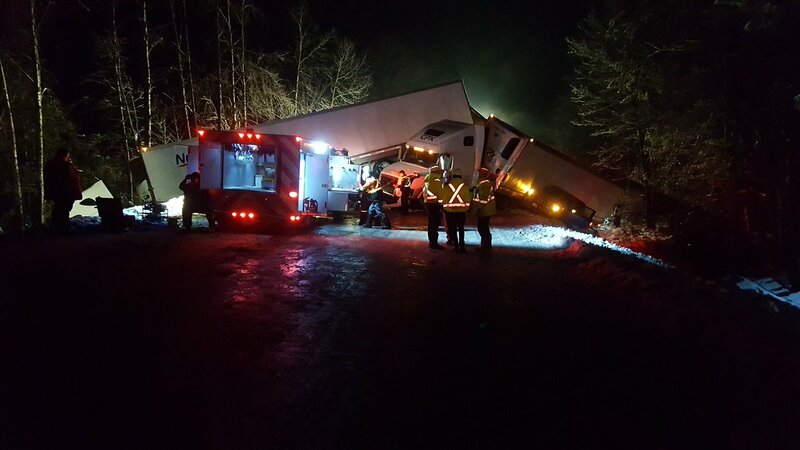 According to BC Emergency Health Services, a total of 29 patients were transported to hospital by ground and air in conditions ranging from stable to critical. A total of 136 uninjured people were taken to a warming centre in Hope. Most of them have been allowed to go home. At last count seven people were “seriously hurt”. For a few hours, Chilliwack General Hospital was under a Code Orange, that is when CGH prepares for a “disaster or mass casualties”. Road conditions were very slippery at the time of the crash. Highway 5/Coquihalla has re-opened as of 8:25AM Monday Morning. 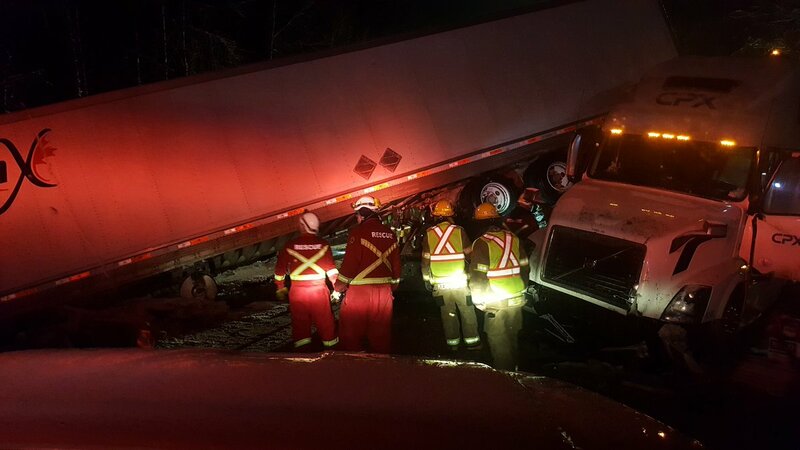 Be the first to comment on "Seven People Seriously Hurt – Major Crash On Coquihalla"